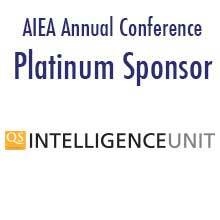 How do I join or renew membership with AIEA? What makes AIEA valuable to its members? What institutions can join AIEA? What are the benefits of AIEA membership? What types of AIEA memberships are available, and what are the fees? I am a 2018-2019 member; when can I join AIEA for 2019-2020? When will my 2019-2020 membership expire? I signed up for 2019-2020 membership. When does my membership get activated? Does an institutional / organizational membership mean that anyone at that institution / organization belongs to AIEA? How should I join AIEA if I am paying for membership myself and not from departmental or institutional funding? I am not an SIO; can I still join AIEA? Is there an AIEA student membership category? Is there special pricing for under-resourced institutions? What is the AIEA membership cycle? It’s already December and I’d like to join AIEA. Can my membership fee be pro-rated since the year is already half over? I forgot my username and password. How do I find it? What is my AIEA member number? How do I change my contact information with AIEA? How do I transfer my AIEA membership to a different institution / organization? I’m a paid member but I’m not receiving e-mails from the AIEA listserv. How do I post messages on the AIEA members-only listserv? How do I subscribe, unsubscribe or change my e-mail address on the members-only listserv? I am receiving emails from AIEA; how did I get on the list? I'm not a member but my institution / organization is a member – can I access the members-only section of the website? What if I have membership questions not answered in the FAQs? If you are joining AIEA for the first time, please follow this Application Guide. If you are renewing your AIEA membership, please follow this Renewal Guide. AIEA nurtures international education leadership, providing a collegial network for the sharing of information, issues and ideas among senior international leaders from around the world. For information on member benefits, please visit the Why AIEA? page. You can also read testimonials from senior leaders in international education. AIEA members are leaders in international higher education. In the U.S., the term most often used to describe these individuals in higher education institutions is Senior International Officers (SIOs), or those who are leading comprehensive internationalization at their institution. AIEA focuses on the strategic-level issues for administrators leading comprehensive internationalization, and professional development opportunities are targeted for leaders with these multiple responsibilities. AIEA recognizes that many other terms may be used to reference these leaders, depending on the context and country. In Europe, for example, the International Relations Manager (IRM) is the equivalent to the SIO position; in Canada, a title often used "International Liaison Officer" (ILO). In other parts of the world, this position may be "Vice-Rector, International," "Director of Internationalization," "Senior Internationalization Officer," or "Deputy Vice-Chancellor, International." AIEA welcomes international education leaders from a variety of institutional types: large research institutions, liberal arts colleges, community colleges, private universities, law schools, Historically Black Colleges and Universities (HBCUs), etc. Additionally, around a quarter of our members are based outside the U.S.
Institutional/ Organizational Membership: $400 annual (academic year) fee to be paid by a senior representative of an institution or organization and covers that representative only. The fee for for-profit organizations is $500 annually. Individual Membership: $150 annual (academic year) fee to be paid by an individual of a member institution or organization. There is no limit to the number of additional individual memberships registered under each institution / organization. Important: the institutional/organizational membership fee must be paid before additional individuals can join. Retiree Membership: AIEA approves a limited number of retiree memberships from long-standing members who have strong association ties. If you are a current and long-time member of AIEA who is retiring, please contact [email protected] for the approval and registration process. Unaffiliated Individual Membership: $400 annual (academic year) fee to be paid by individuals not affiliated with member institutions or organizations who want to hold membership in AIEA. If you have a 2018-2019 Institutional, Organization, or Unaffiliated Individual membership, you are welcome to renew your AIEA membership now. If you have a 2018-2019 Individual membership, you should check the list of 2019-2020 Institutions to see whether the Institutional or Organizational member at your place of employment has renewed their membership. If they have, you are welcome to renew your Individual membership for 2019-2020. If they have not, please contact that person and remind them to renew. Once the Institutional or Organization membership is activated and AIEA has received and processed payment, you will be eligible to join at the individual level. AIEA has a July 1-June 30 membership year. The expiration date for the 2019-2020 year is June 30, 2020. All eligible memberships will be activated once AIEA receives payment. Individual memberships are only eligible to be activated if the Institutional or Organizational membership is active. Please allow 10 business days for processing after AIEA receives payment; this applies to all membership types. Does an institutional/organizational membership mean that anyone at that institution/organization belongs to AIEA? No, an institutional/organizational membership is connected directly to only one representative of that institution/organization. Once the institutional/organizational membership fee is paid by a representative, then other members can pay the additional membership fee of $150 each to join AIEA. How should I join AIEA if I am paying for membership myself? AIEA memberships are often paid for by an organization or institution, and to reflect this, the membership remains with the institution even when an individual member moves before the membership has expired. If your institution or organization does not pay your membership dues, you may want to consider joining as an Unaffiliated Individual so the membership transfers if you change positions. Yes. Institutional membership in AIEA is generally reserved for the Senior International Officer, however, once the SIO at your institution has joined, you are eligible to join as an individual member. Organizations in International Higher Education can also join, though an Organizational membership must be in place before others at the organization can join as individual members. No. However, if your university has an Institutional membership, you are able to join AIEA as an individual member. Not at this time, though this policy is currently under review. AIEA has transitioned to a membership cycle that corresponds with the U.S. academic year and runs from July 1 through June 30. Please note that it is not possible to pro-rate membership fees. Member usernames are generally the full email address affiliated with AIEA membership. Passwords are automatically generated by the system when an account is created. Please click here and enter your AIEA username to have your password emailed to you. If you do not remember your username or password, please email [email protected] for more information. Please allow 10 business days for AIEA to process your application after your payment has been received. If you pay by check or wire transfer, membership will be activated within 10 business days from when payment is received at the AIEA Secretariat. AIEA does not issue member numbers. Memberships are identified by e-mail address and/or name of institution/organization. You can easily update your profile online. Simply simply go to our website (aieaworld.org) and click on LOG IN in the upper right-hand corner, followed by Existing User Login, Edit Account Details and/or Edit Profile. You will not be able to change your e-mail address or institution/organization. If you are now at a different institution/organization, you will need to apply for a new membership. No, AIEA membership cannot be cancelled or refunded. It is possible to transfer your membership to someone else at your institution or organization. If you are listed on the institutional/organizational account, you may transfer the account to another senior international officer within the same member institution/organization by sending their name and contact information to [email protected]. This account transfer will be valid through the end of the membership term unless notified otherwise. If you have an individual membership, you will not be able to transfer your membership to another institution/organization. You can, however, transfer one individual to another individual in the same institution/organization. To maintain your AIEA membership status, you must purchase another individual membership at another AIEA member institution/organization. To see if your institution/organization is an AIEA member, please check the Member Institution and Organization List, or contact [email protected]. Sometimes an e-mail alias is used to set up an account. Our system only recognizes exact e-mail address attached to the account. If you find you are not receiving e-mails from AIEA, please contact [email protected]. Simply send an e-mail to [email protected] The message must be sent from the email address affiliated with your AIEA membership (generally also the member's default username). Note: The members-only listserv is for discussion of relevant issues, not for promotion of programs, products or services. To read the listserv policies, please click here. One of the great benefits of membership is the members-only listserv. Members are automatically subscribed to the AIEA listserv upon receipt of payment of member dues, using the email address entered in the member profile. (Note that email addresses must match the institution/organization name; generic email addresses are not accepted). You cannot change your e-mail address from what is listed on the AIEA account. Email [email protected] if you wish to unsubscribe; however ,please note that all communication with members is done via email, so upon unsubscribing, you will no longer be made aware of member-only opportunities including special member discounts. AIEA members are automatically added to the members-only listserv, as well as AIEA email updates list (sent once a week at the most). If you have created an AIEA account on the www.aieaworld.org website for membership or to access forms on the website, you will also receive regular updates from AIEA. To unsubscribe, please contact [email protected]. No. Only current members are allowed access. Email [email protected] or call 1.919.893.4980 (Eastern Standard – New York Time).